Fewer things in life get better than warm, melt in your mouth muffins. It’s amazing to me how simple everyday ingredients can be whisked together, popped in the oven to produce something so very delicious! The thing that gets me about muffins is that, they’re individually portioned cakes but without all the added paraphernalia associated with cupcakes. I usually find myself craving muffins on days when the weather surprises you with a sudden shower, leaving behind a slight nip in the air as the cloudy skies begin to clear. It’s the kind of weather that calls for something warm and sweet as you snuggle up on your couch with your hot cup of coffee! 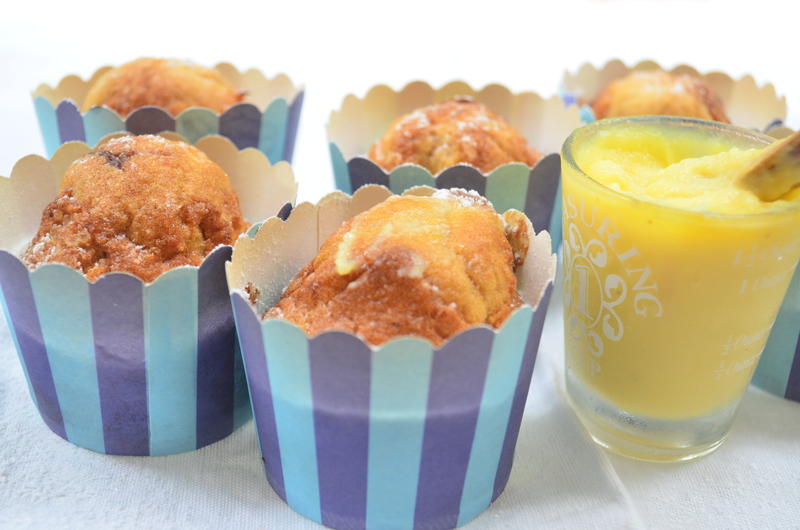 These muffins were baked on one such occasion and the choice of flavour was orange with some….ok lots of white chocolate. Here’s my very handy recipe for some extremely delicious muffins, which will definitely leave you feeling all warm and fuzzy. In a medium size bowl, sieve the flour, baking powder, bicarbonate of soda and salt and set aside. In a large mixing bowl, use an electric beater to whisk the eggs, butter and vanilla essence together on medium speed, until well combined. Add in the flour mixture and sugar alternately and beat well during the intervals. Use a rubber spatula to scrape down the edges as you continue to beat, this is to make sure all the ingredients are incorporated into the batter. Pour in the milk and beat again for 1 minute. Now fold in the white chocolate chips and orange zest. Be careful not to over mix your batter at this stage, as you don’t want to lose any of the air. Use a spoon or an ice cream scooper to fill your muffin liners. Once you have spooned in your batter, place the your baking tray into the oven for about 12-15 minutes, or until tops begin to golden. Place them on a cooling rack to cool down before getting your hands on them. You can serve them as they are, or with some jam and cream, or with some citrus curd like I have in the image above.